Caption slip reads: "Photographer: Miller. Reporter: Miller. Assignment: Traffic. 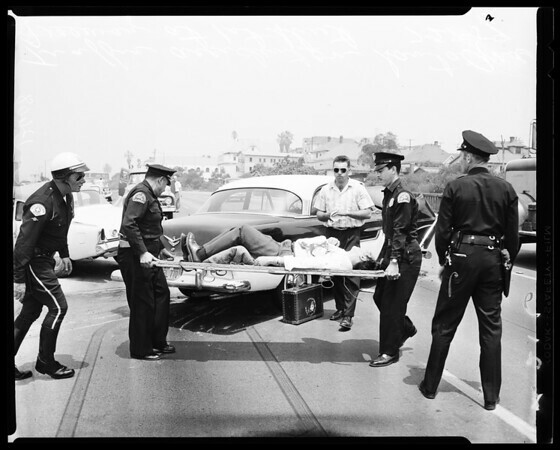 11/12/215/216: Traffic accident on Santa Ana freeway at 1st street".